This is the most interesting genre for servers with a small number of players. 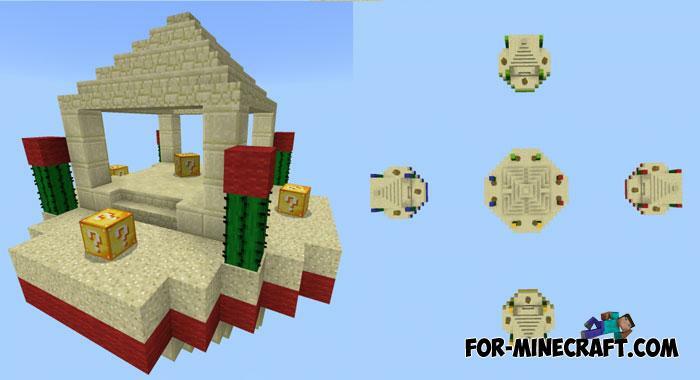 The Lucky SkyWars map is 4 islands for each player as well as a large central one. But it would have been a very boring Skywars map if it weren't for the Lucky blocks with random content inside. No one knows that the lucky block will give you this time and this fact makes the game more unpredictable. 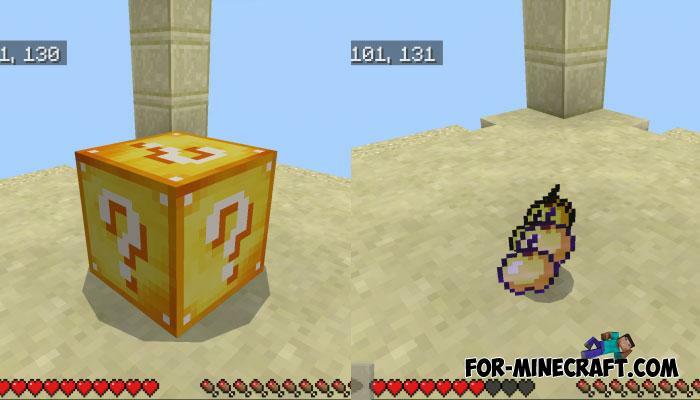 After spawning, notice the yellow blocks with a question mark. These are lucky blocks hiding a certain loot inside. You need to break these blocks and take the items that you need to win. All players are in the same conditions so think of a way to say goodbye to all enemies and be the only survivor. Weapons Case Loot mod for MCPE 1.2Initially there are only a few types of swords in Minecraft Bedrock and they are all very similar except for color and parameters..